A unit investment trust isn't a mutual fund, but UITs are similar in so many ways that it helps to think of them as mutual funds with a few twists. A UIT is effectively an investment firm or company that bundles investments, typically stocks or bonds, into one unit. These units are sold to investors to hold onto for a predetermined period of time. The goal is that the investments will appreciate and produce income. Think of a unit investment trust as a collection of other investments, just like a mutual fund. In the bond world, a UIT is essentially a collection of bonds, bond funds or bond derivatives. Unlike a mutual fund, the investments in a unit investment trust aren't traded by the fund manager. Rather, the manager buys the investments and holds them until maturity. Buying a UIT is slightly different from buying a mutual fund. The management fees of a UIT are much lower than those of mutual funds—presumably, because there's not much "management" involved with a buy-and-hold portfolio like a UIT. There are sales fees associated with unit investment trusts, however, just like the fees associated with mutual fund loads. But here's the catch: You'll pay a sales commission to buy a UIT, but never to sell. Because a UIT consists of investments that will be held until maturity, a unit investment trust also has a maturity date, unlike a mutual fund. Some UITs are designed to mature in five years or so. Others are long-term investments that won't mature until 30 years after creation. There are three main factors worth noting if you're considering a UIT for your portfolio. Two are pros and the other is a con. On the positive side, the biggest advantage of a UIT is also the biggest selling point for a bond mutual fund: diversification. 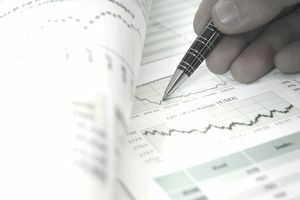 A UIT holds a number of varied bonds and related investments, and buying a collection of investments is generally considered safer than buying a single investment. Another positive is that the diversified holdings of a UIT don't change. If you own a UIT, you know what bonds are in it. You don't have to wait until your quarterly statement to see what the fund manager has bought, what he's sold, and what you're left with. A UIT offers consistency that can be beneficial and comfortable for many investors, particularly those who are retired. The third factor must be considered a negative, even though it's closely related to the two positive factors. Because a UIT holds a number of bonds within it, a potential investor should research all the holdings to ensure that they all meet his individual tolerance for risk. That can be a time-consuming process. It may be a wiser move for many investors to buy less complex investments, such as U.S. Treasuries.